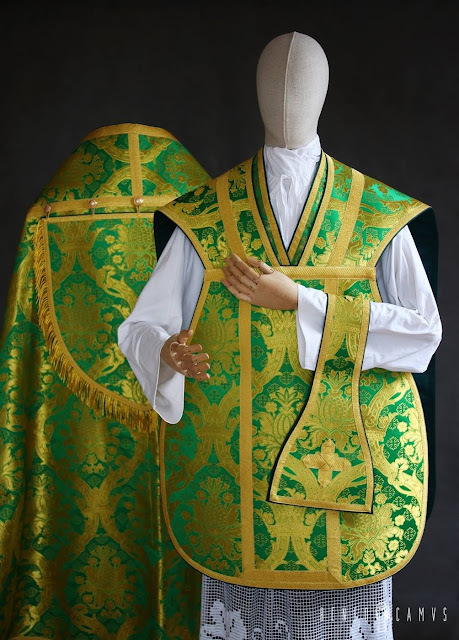 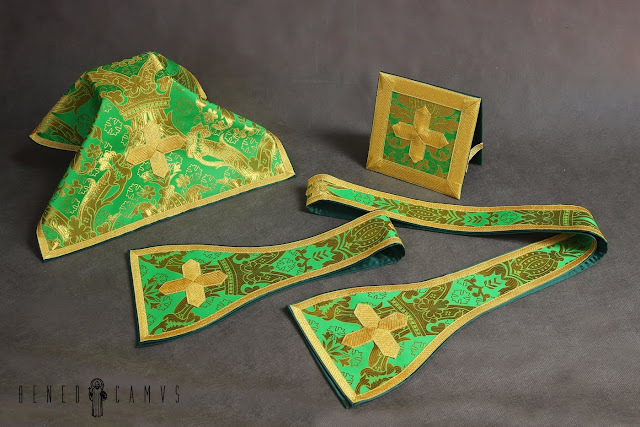 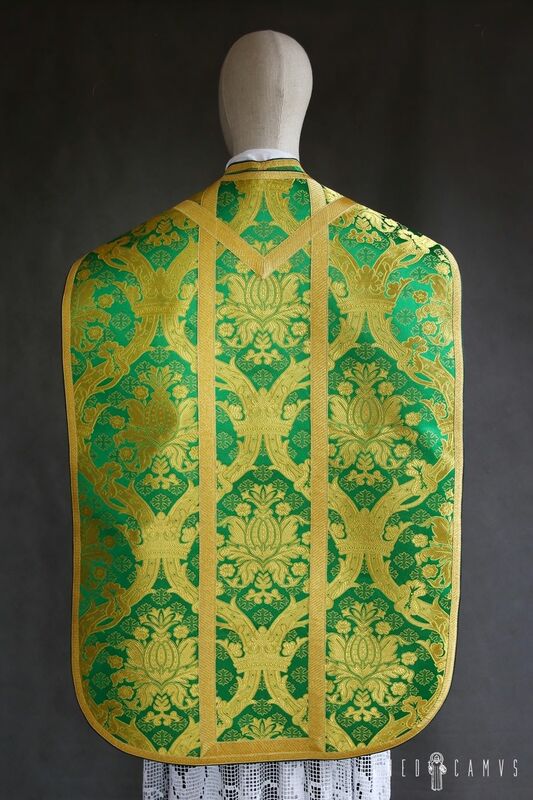 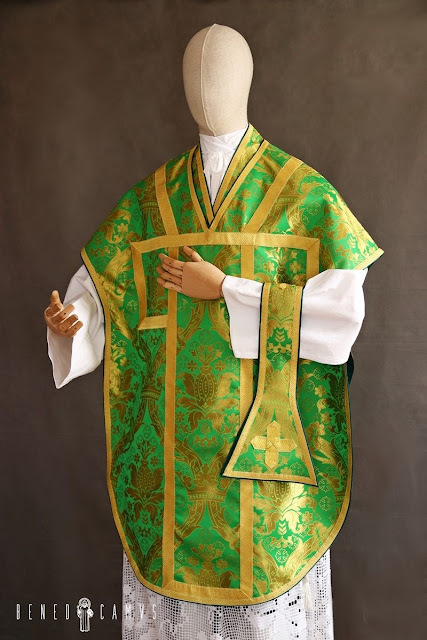 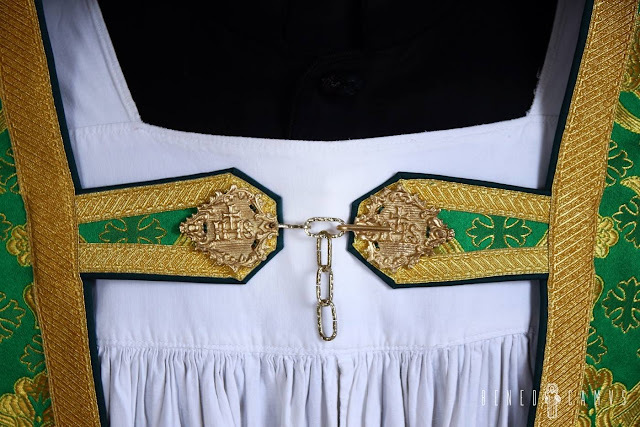 Continuing on with our considerations of late of new vestment work, I recently came across a Polish vestment maker, Benedicamus, whose work has caught my attention. 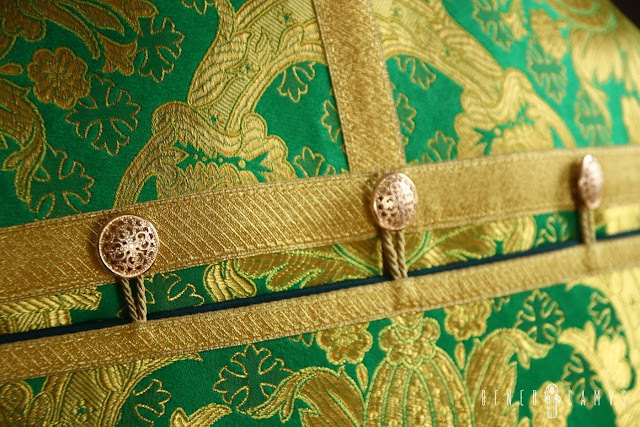 There are a number of pieces I will feature from them but for today I wanted to focus on a green Roman set (as well as a Borromean option). 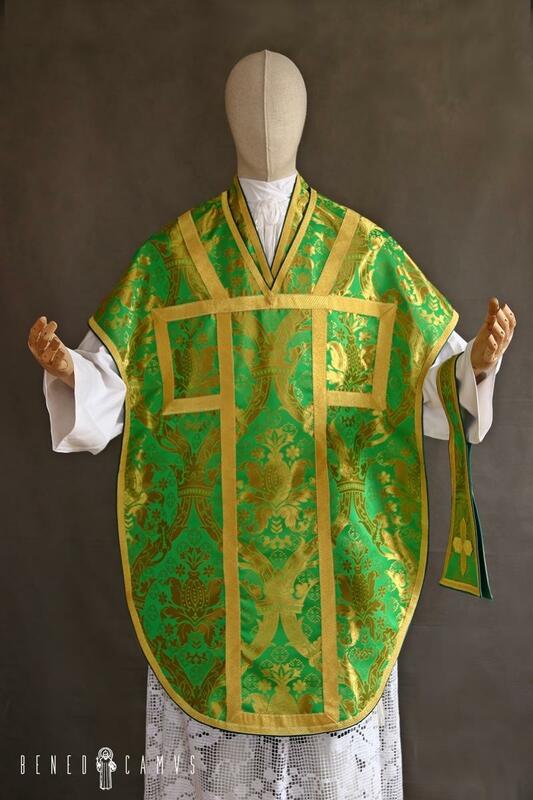 Let's get right to it. 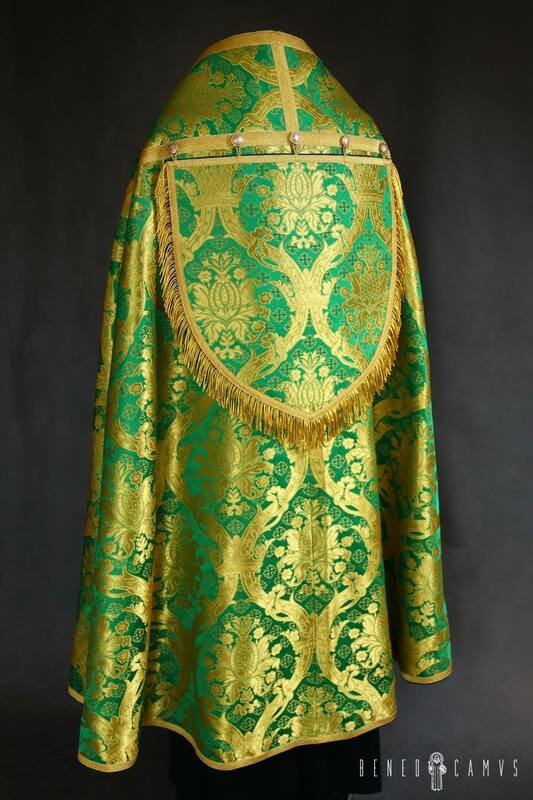 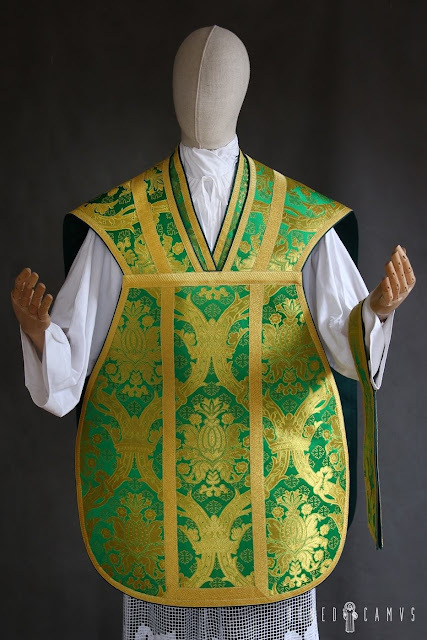 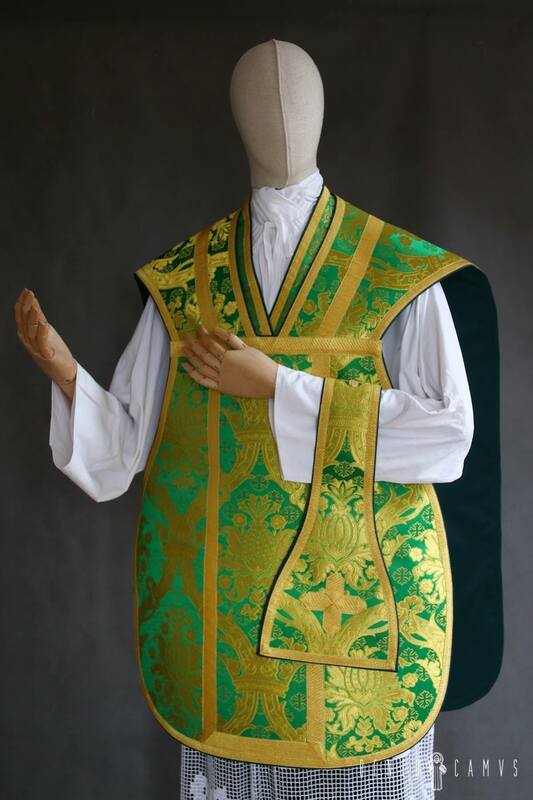 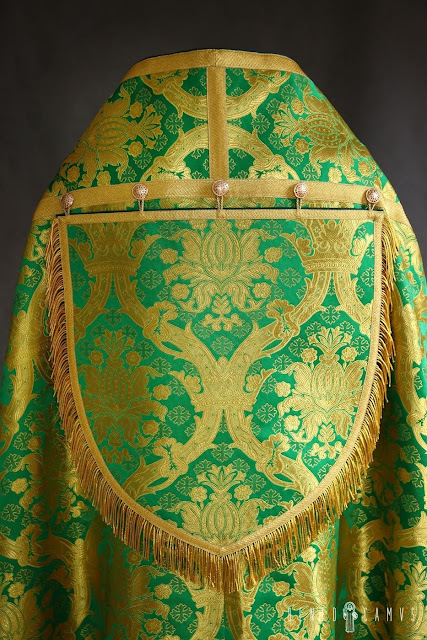 Moving on to the chasuble, it is also quite dignified. 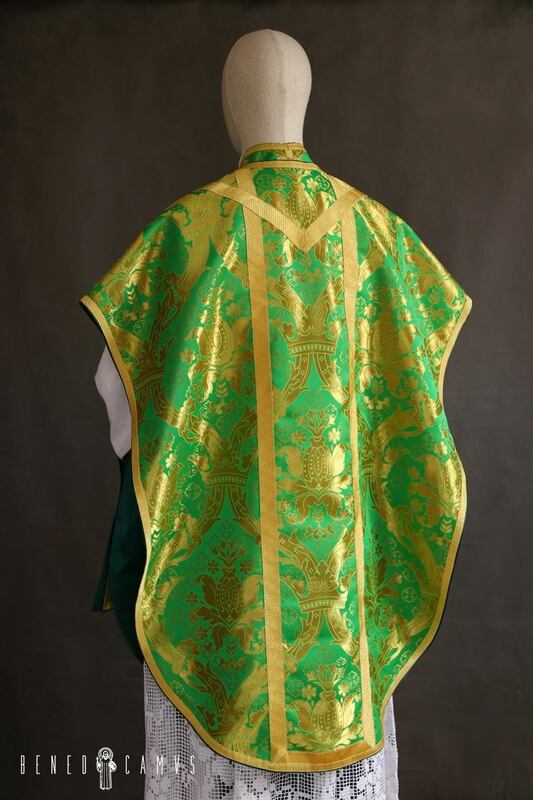 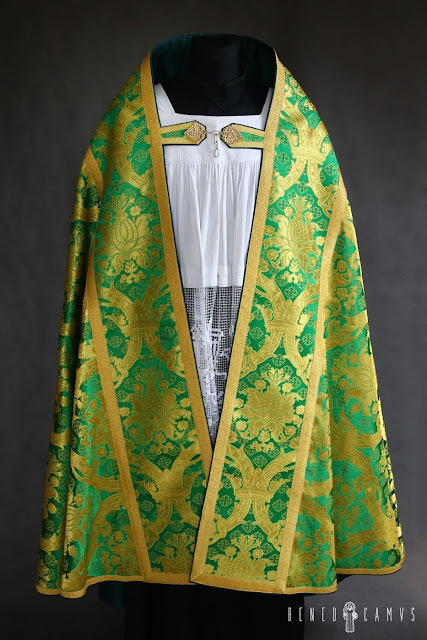 Now I will say that I generally tend toward a slightly less ample cut for the front of a Roman chasuble, but there are no set rules as much of this is also dependent upon the particular body type of the priest who wears it. Those of larger frame will want something more ample in the front, while those of thinner frames will want it slightly less so in my experience. LAJ will look forward to featuring more of Benedicamus' work in the future.